Peter Sloterdijk’s reputation as an original thinker of our times has grown steadily since the early 1980s. This volume of over 30 conversations and interviews spanning two decades illuminates the multiple interconnections of his life and work. 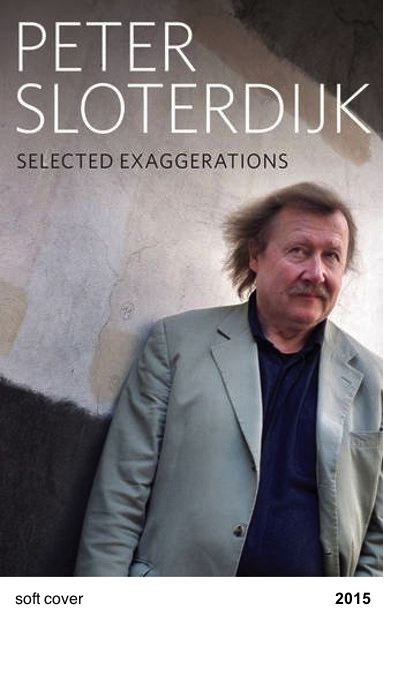 In these wide-ranging dialogues and discussions Sloterdijk gives his views on a variety of topics, from doping to doxa, design to dogma, media to mobility and the financial crisis to football. Here we encounter Sloterdijk from every angle: as he expounds his ideas on the philosophical tradition and the latest strands of contemporary thought, as he analyses the problems of our age and as he provides a new and startling perspective on everyday events. Through exaggeration, Sloterdijk draws our attention to crucial issues and controversies and makes us aware of their implications for society and the individual. Always eager to share his knowledge and erudition, he reveals himself equally at home in ancient Babylon, in the channels of the mass media and on the ethical and moral terrain of religion, education or biogenetics. Appealing both to the seasoned reader of Sloterdijk and to the curious newcomer, these dialogues offer refreshing and entertaining insight into the intellectual and political events of recent decades. They also give us glimpses of Sloterdijk’s own life story, from his early passionate love of reading and writing to his journeys in East and West, his commitment to Europe and his acceptance and enjoyment of the role of a public intellectual and philosopher in the 21st century. Do Your Duty to Enjoy! Is There a Way Out of the Crisis of Western Culture?